The push to build more start-ups based on science and “deep” technology – technology that is hard to reproduce – picked up pace with the launch of a new organisation yesterday. 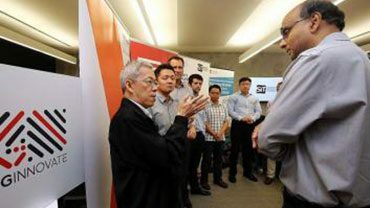 Called SGInnovate, it brings together entrepreneurs, investors, researchers, academics and companies to develop technology-based products at a six-storey facility in Carpenter Street. Chief executive Steve Leonard said the new entity cannot be pigeon-holed as just a start-up accelerator or ecosystem “curator”.